Today, we are exposed to an increasing number of chemicals in the environment and there is a growing awareness of the effects of these chemicals on the ovaries. Infertility resulting from environmental exposures may not be obvious until the reproductive life span is waning. As such, the potential for xenobiotic-induced infertility needs to be better understood. In recent years, research into chemicals that have the potential to cause early menopause by destroying pre-antral ovarian follicles is gaining greater appreciation. Ovarian Toxicology, Second Edition represents a compilation of chapters prepared by researchers who have substantially contributed to our understanding of the impact of xenobiotics and environmental factors on ovarian function. 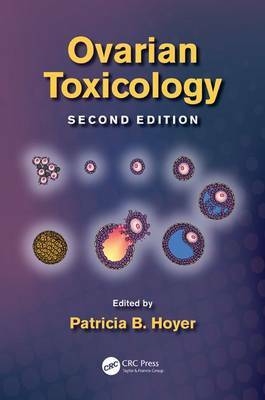 The second edition substantially updates newly investigated ovotoxicants as well as improved mechanistic insights that have emerged since the first edition. The first book to focus specifically on ovarian toxicology, this resource is ideal for scientists in academia, regulatory agencies, and industry who would benefit from a survey of the impact of xenobiotic chemicals on ovarian function. "Overall, the book has remained focussed to its primary purpose and provides an excellent treatment of an important area of endocrine and reproductive toxicology ..."